CHAPTER 5 THE SUPPLY CHAPTER 5.1 What is supply?. 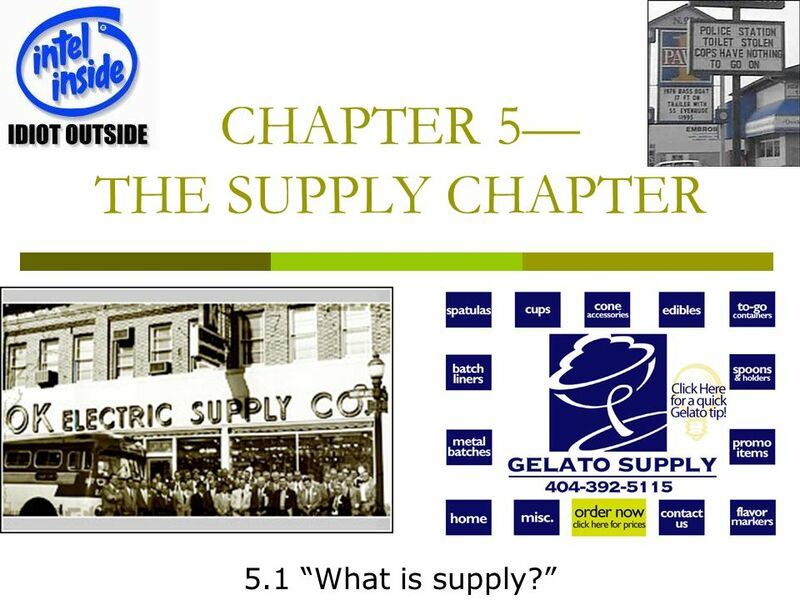 1 CHAPTER 5 THE SUPPLY CHAPTER 5.1 What is supply? 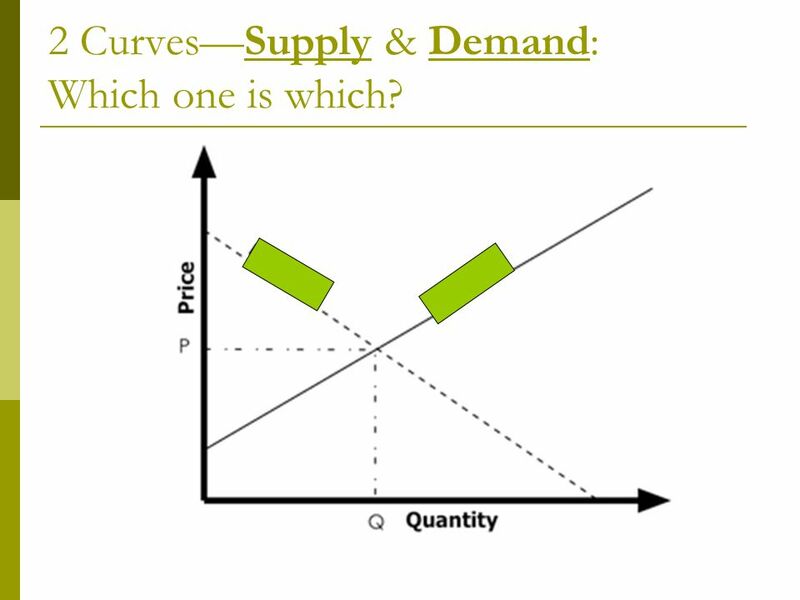 2 2 CurvesSupply & Demand: Which one is which? 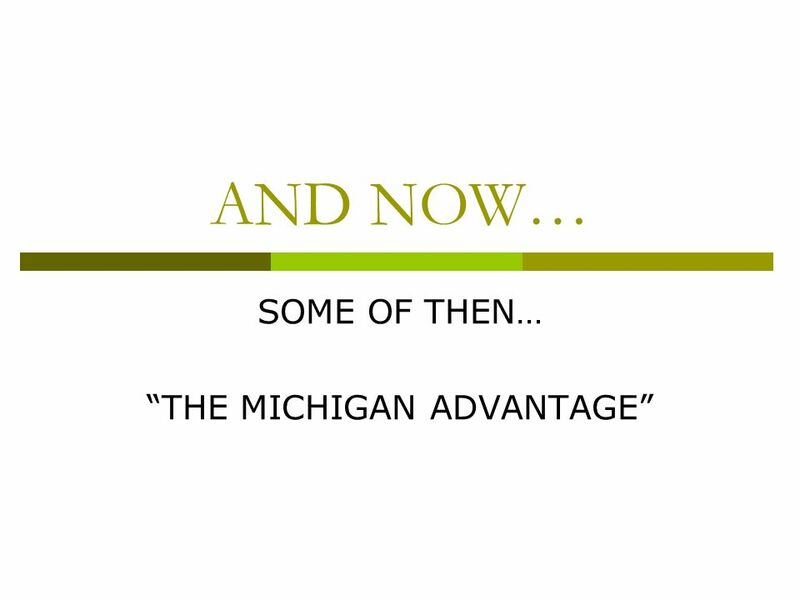 3 Why does supply increase as price increases? Lets think about it. 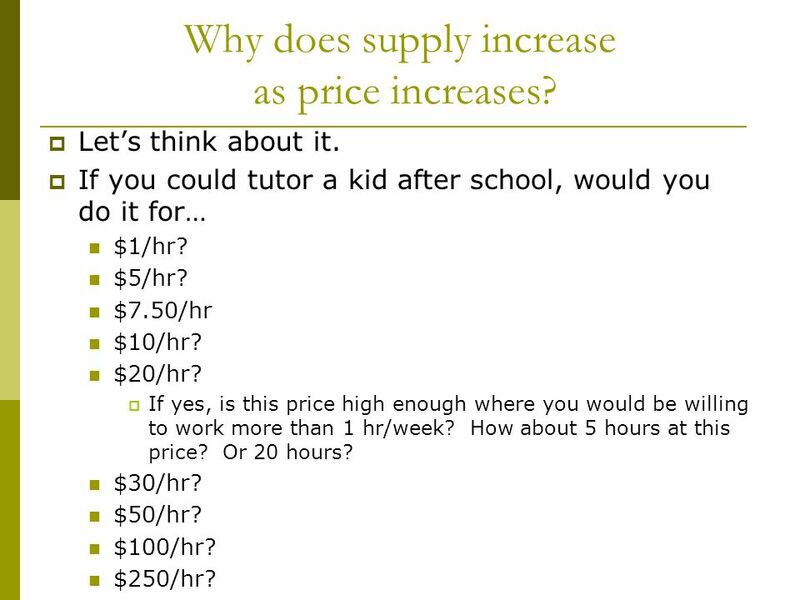 If you could tutor a kid after school, would you do it for… $1/hr? $5/hr? $7.50/hr $10/hr? $20/hr? If yes, is this price high enough where you would be willing to work more than 1 hr/week? How about 5 hours at this price? Or 20 hours? $30/hr? $50/hr? $100/hr? $250/hr? 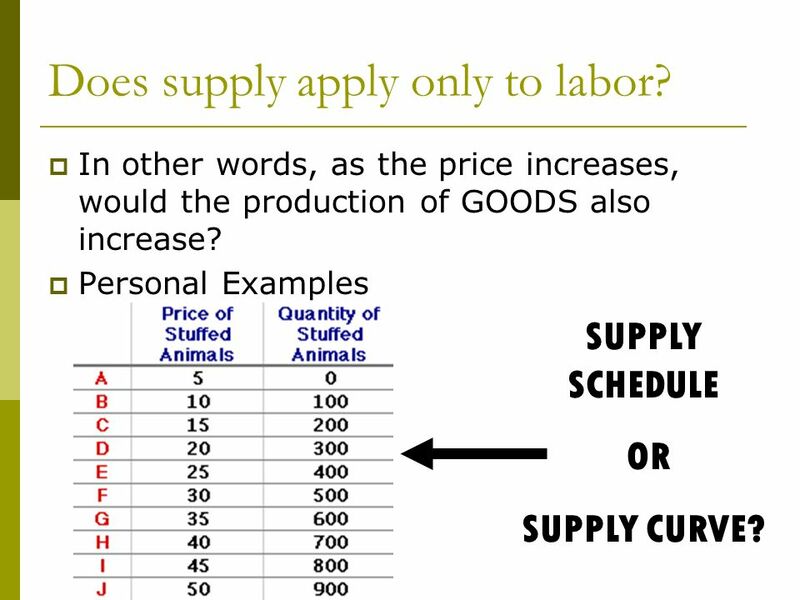 5 Does supply apply only to labor? In other words, as the price increases, would the production of GOODS also increase? 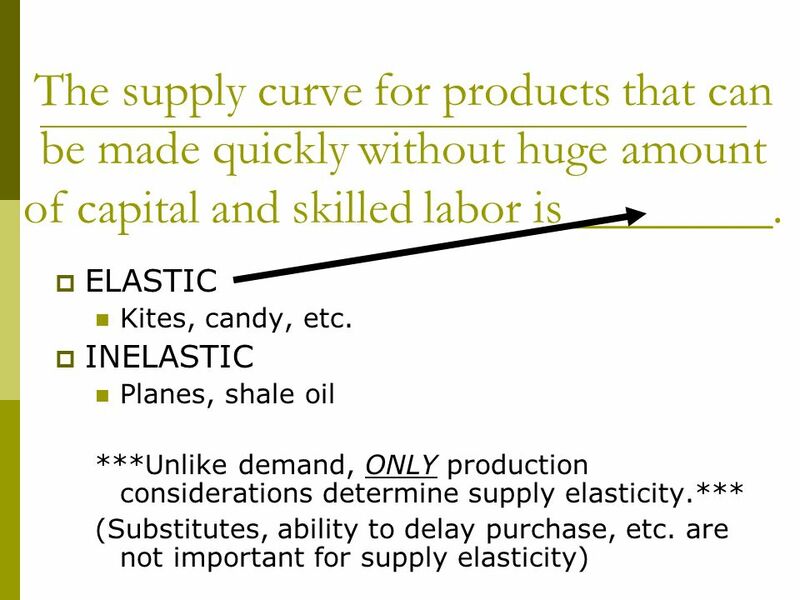 Personal Examples SUPPLY SCHEDULE OR SUPPLY CURVE? 6 Classwork Ch. 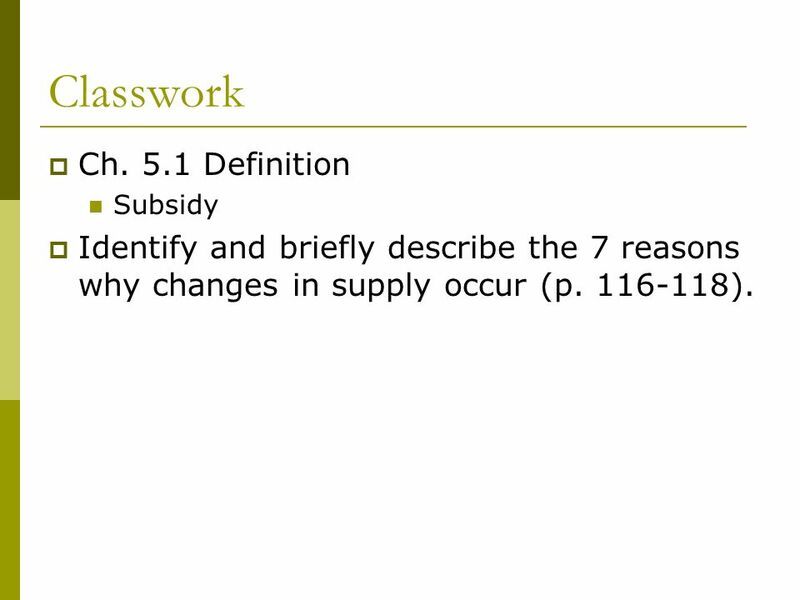 5.1 Definition Subsidy Identify and briefly describe the 7 reasons why changes in supply occur (p. 116-118). 7 What would cause THIS to happen? 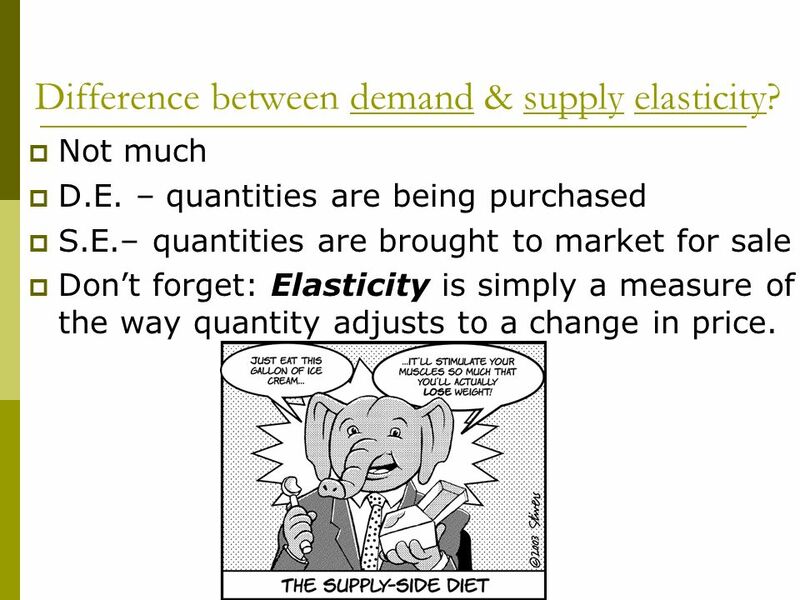 10 Difference between demand & supply elasticity? Not much D.E. – quantities are being purchased S.E.– quantities are brought to market for sale Dont forget: Elasticity is simply a measure of the way quantity adjusts to a change in price. 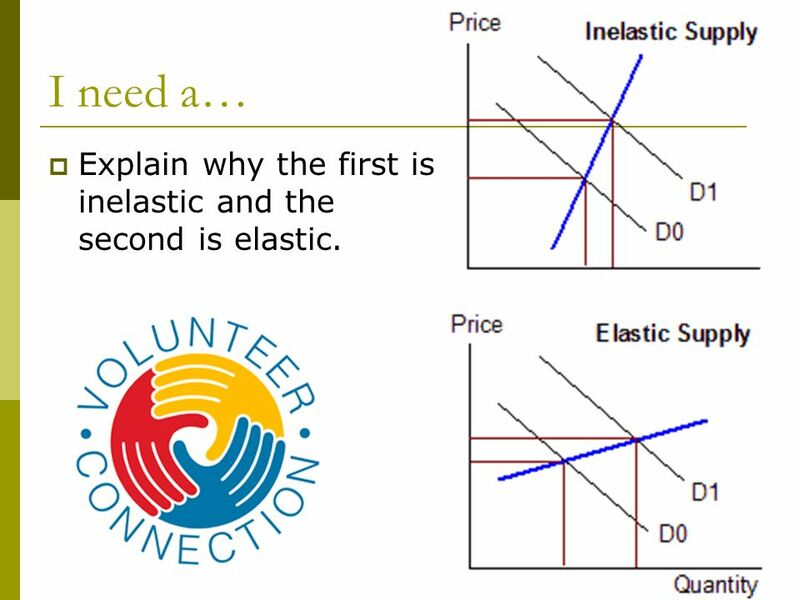 11 I need a… Explain why the first is inelastic and the second is elastic. 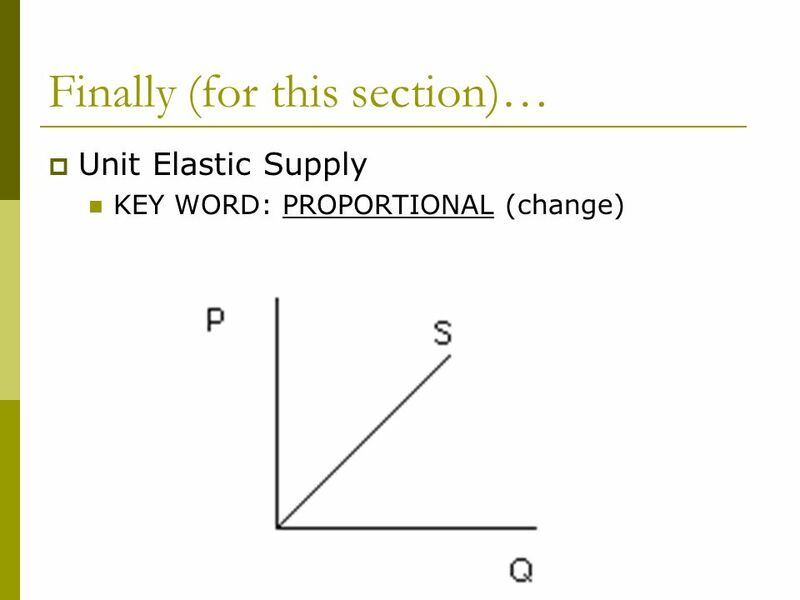 Download ppt "CHAPTER 5 THE SUPPLY CHAPTER 5.1 What is supply?." 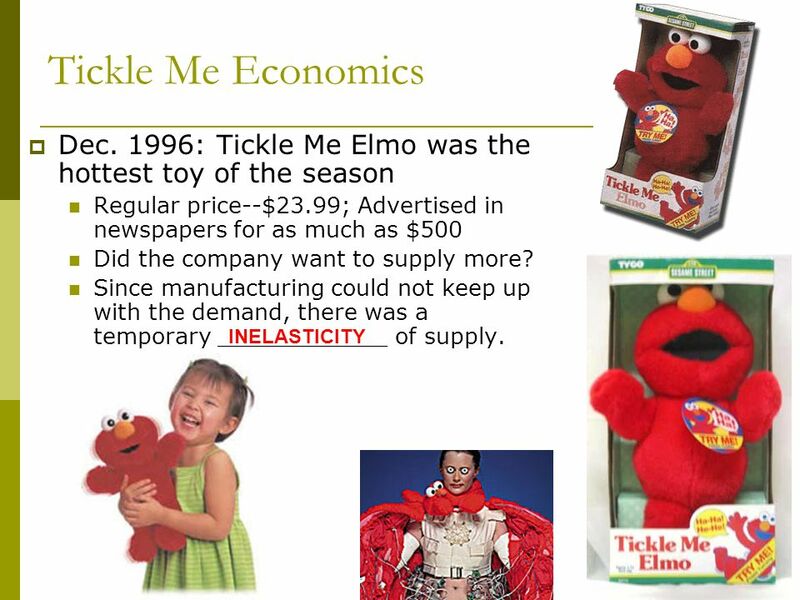 Supply and Demand II Lesson 12 – 5a & 5b. What is Supply? Supply  How many hours do you spend studying every night?  How many hours would you study if you were paid $1 an hour?  $10 an hour? CHAPTER 4 - DEMAND Chapter Introduction Section 1: What is Demand? 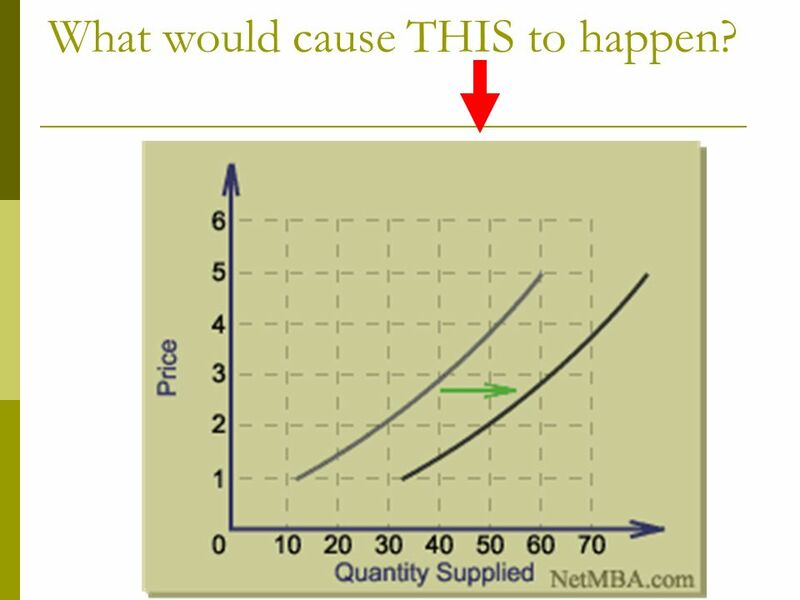 Chapter 5 - Introduction to Supply Supply is the amount of a product that would be offered for sale at all possible prices in the market. The Law of Supply. Chapter 5 Section 2.  Every time the supply of a good changes, the supply curve for that good “shifts” ◦ Meaning it moves either to the right or to the. 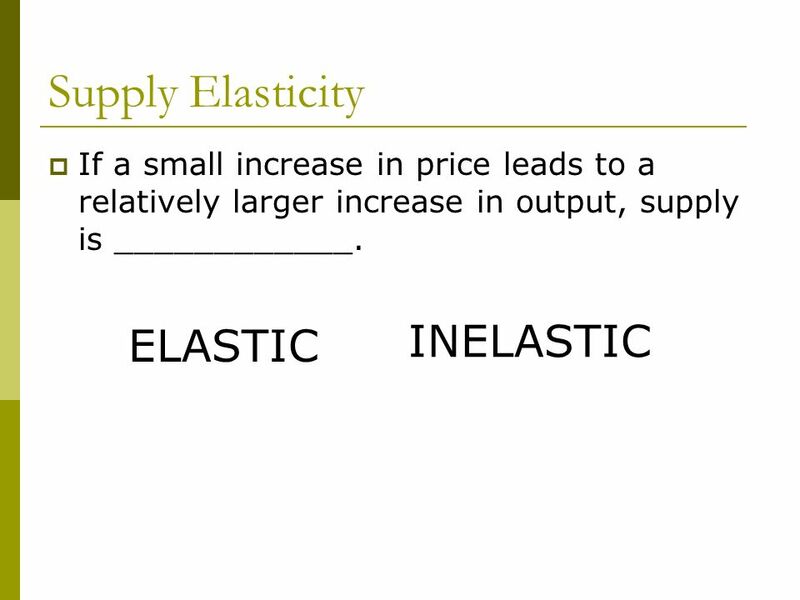 Supply Section 1 SUPPLY SSupply - The amount of goods produced at different prices Law of SUPPLY: The higher the price, the greater the quantity supplied. Chapter 5 Supply. Definition of Supply Supply – the willingness and ability of producers to offer goods and services for sale. Supply. What is Supply?  Supply- The amount of a product that would be offered for sale at all possible prices that could prevail in the market  Do. 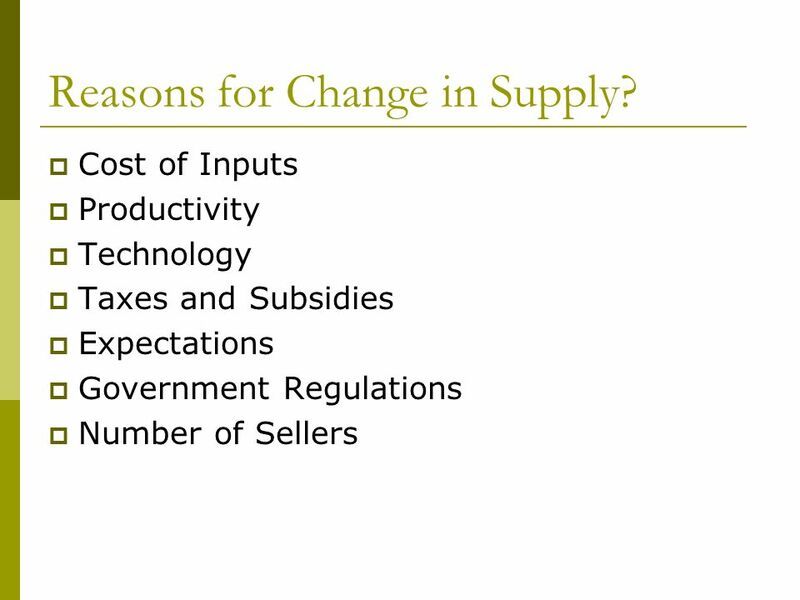 Chapter Five Supply  Section One What is Supply?  Section Two The Theory of Production  Section Three Cost, Revenue, and Profit Maximization. Chapter 5. What is Supply? The amount of a product that would be offered for sale at all possible prices that could prevail in the market. The producer. SUPPLY Chapter 5. SUPPLY IS  Supply is NOT how much of a good is sitting on the grocery store shelves --- instead it is how much producers are willing.